Ginkgo Biloba or Maidenhair Tree is a slow growing tree which is known for its medicinal properties as well as for its sturdyness and longevity. The Ginkgo is often called a 'Living Fossil' tracing back 270 million years, making it among the oldest living species on the planet, . They live incredibly long, there is one Ginkgo Biloba in Asia that is estimated to be 3,000 years old. Ginkgo is a large tree so make sure you have the room for it. Hopefully you do because this tree is a stunner. 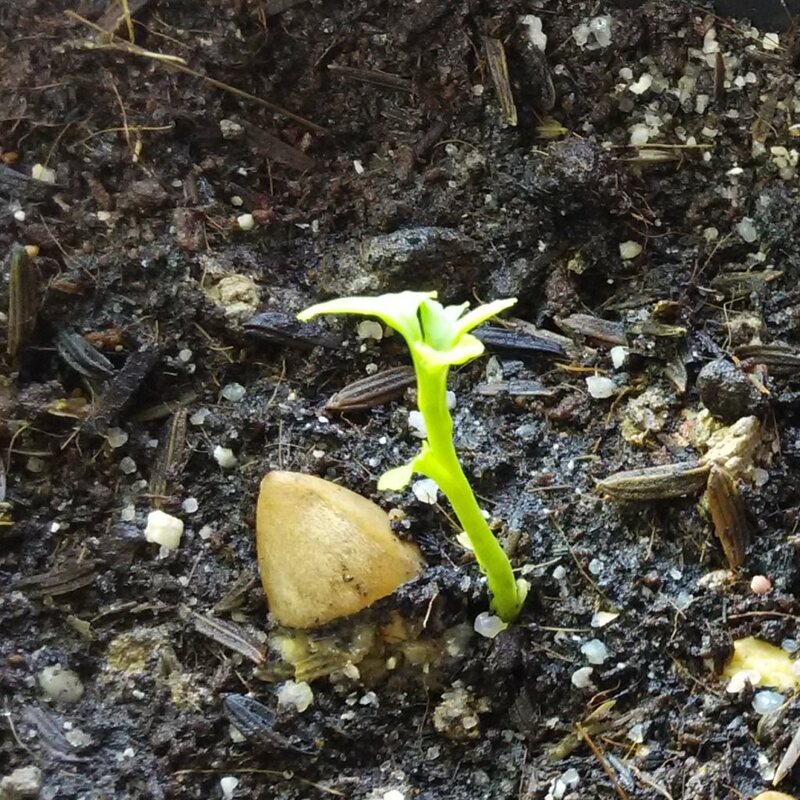 Germinating Ginkgo Biloba seeds requires lots of patience. As a slow growing tree it won't be sexually mature until it is 30 years of age. 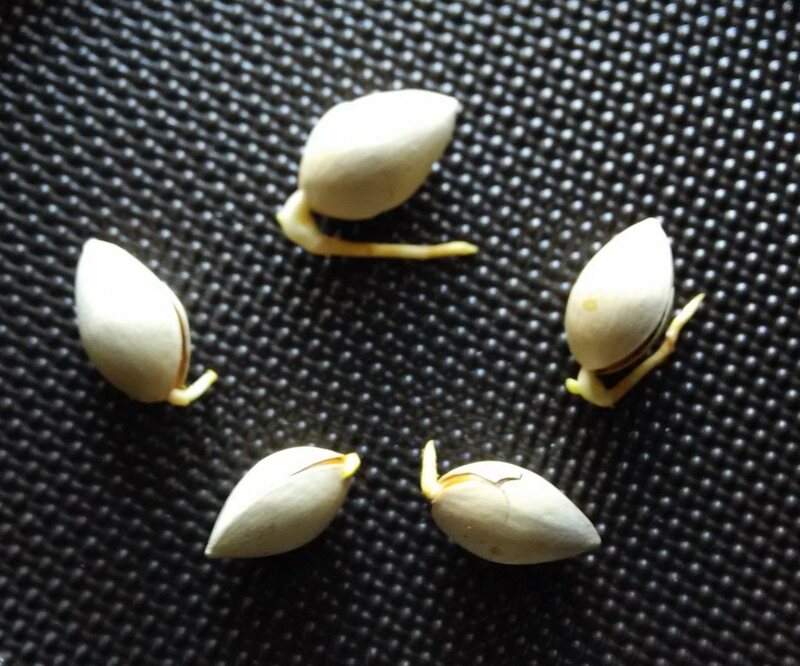 At that time it will produce seeds if it is a female tree. If you want to start from seeds you will have to get fresh seeds. 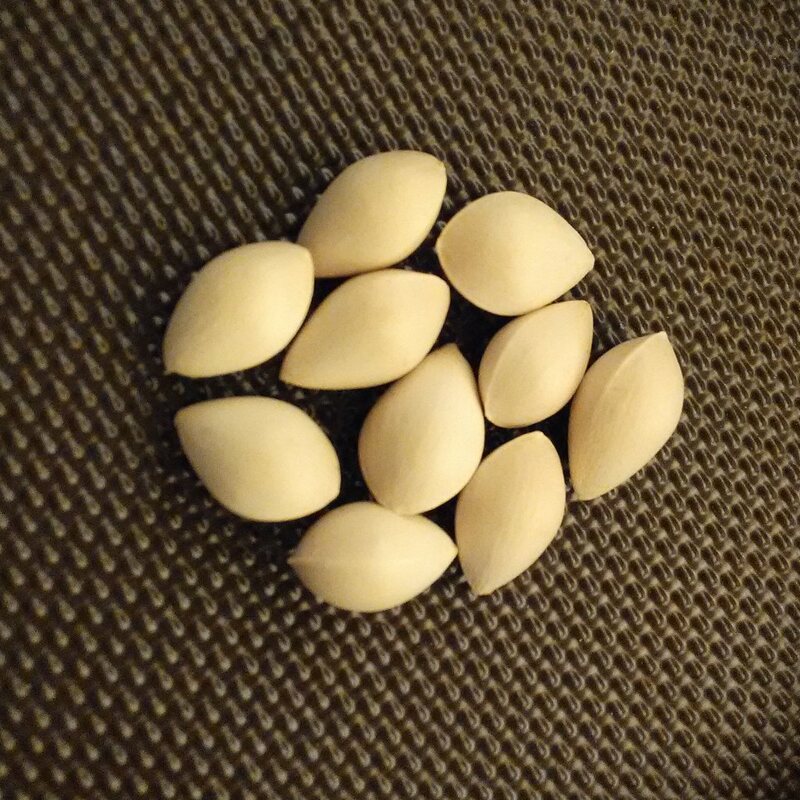 The seeds are used in Asia for desserts and in cooking, good place to get them at a cheap price is in Asia Stores, where they sell them by the kilogram. If you purchase them around December you most likely get seeds from the latest harvest, if you wait until summer the seeds they sell will have dried out and won't germinate well. To prepare your ginkgo biloba seeds you will need to soak them in water with some household bleach added for ten minutes to prevent mold while germinating. After that flush the seeds with water. You can nick the hard shell gently to speed up the germination process. 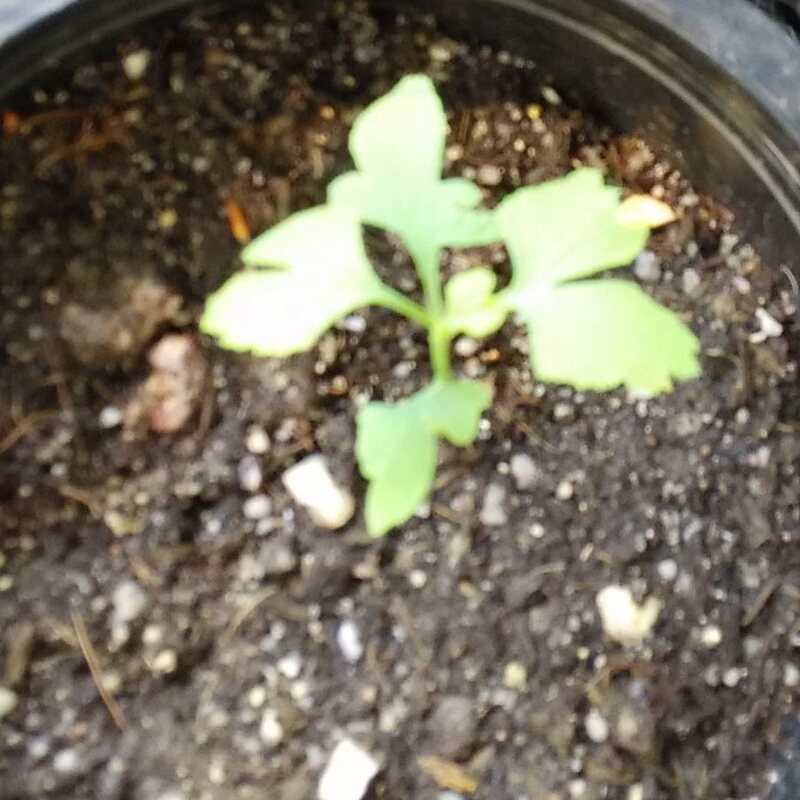 I have successfully grown Ginkgo Biloba from seeds bought at a China Store several times and never needed so stratify them. Follow my germination instructions and grow this amazing tree with ease. You can see the different stages of my seedlings below. 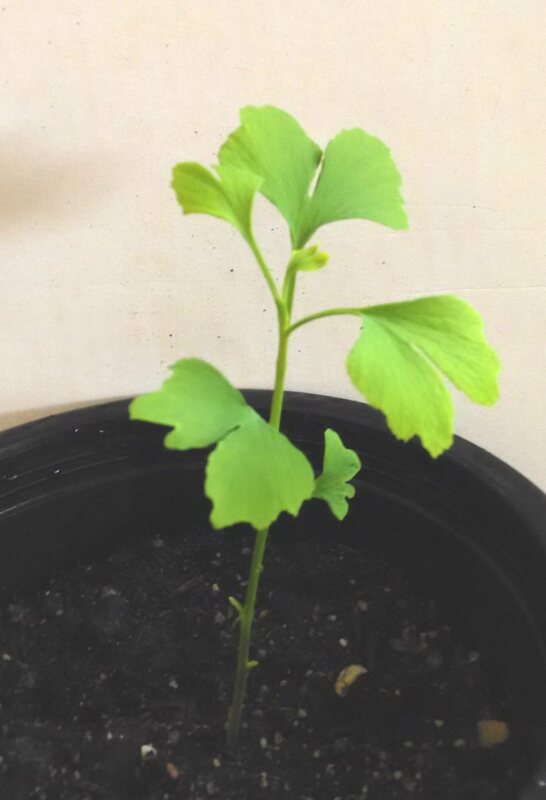 Good luck growing your own Ginkgo Biloba from seed. 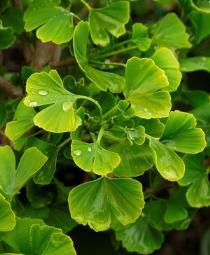 The first step in growing Ginkgo from seed is to get fresh seeds. The seeds have a shelf life of about 4 to 6 months, so you should get your seeds from an Asia Store (sold by the kg) in December, that means you get the latest harvest. You can also get the seeds by mail order from a reliable source. Soak your seeds in water with some bleach added for about 10 minutes to kill mold. Afterwards flush them clean and soak the seeds in water for about one day. Now you take a wet paper towel, spread yur seeds on it and cover with a second one. Now place the paper towels with the seeds inside a ziplock back and save at a warm dand dark place and wait for the seeds to germinate for about 3 weeks. Check the bag from time to time for mold and enough moisture. After about 3 weeks the seeds have developed a root. Now they are ready to be plant. Take some 15 cm pots and fill them with a mixture of 50% potting soil and 50% sand and plant the seeds just below the surface. Place the pot in a bright place without direct sunlight and keep the soil moist but not wet. Five weeks after starting the seeds the plant emerge from the soil. keep watering sparingly and be patient while the first leaves develop. The seedlings have grown and have developed their first set of leaves. 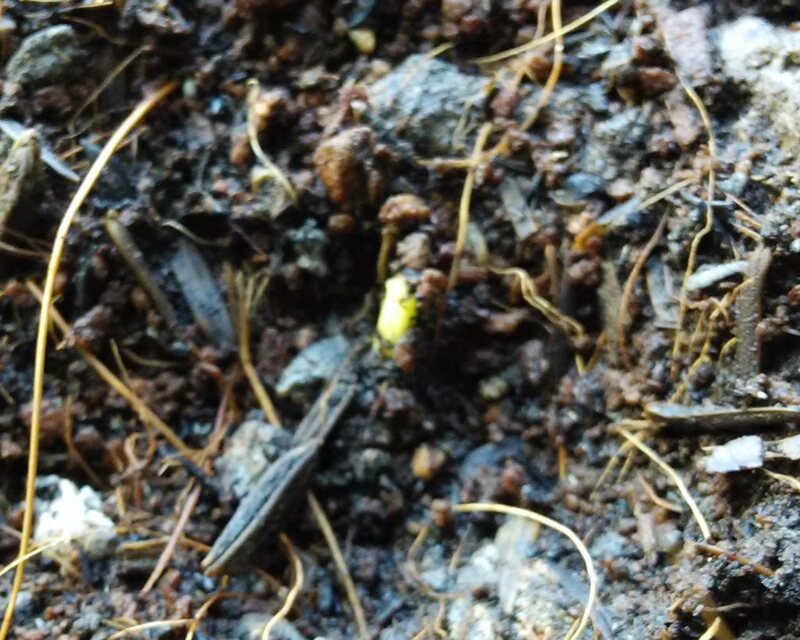 The seedlings have the typical Ginkgo Biloba leaves already. The young Ginkgo plants have developed several sets of leaves now. The plants are about 10 cm high. One week later the Ginkgo Biloba plants have grown in height to about 20cm. From now on the plants will steadily grow for the next months to come.